There is a thriving engineering student community here in Edinburgh with a diverse range of interests that we hope offers something for everyone. The Engineering Society aims to provide a social and professional network for all engineering disciplines though intramural sports, providing access to academic support for your studies and hosting events throughout the semester. The Engineering Graduate Society - organise a variety of events throughout the year - from picnics on the lawn at KB, to cinema nights, coffee mornings and researcher dinners. They also organise talks and seminars, training and professional development opportunities. Our aim is to bridge the gap between industry and academia. We take pride in the fact that our society is a platform for career guidance, networking and social events targeted at mainly Chemical Engineers but open to ALL! Providing social and informative events to civil engineering students at Edinburgh University. Open to all students and staff. Edinburgh University Mechanical Engineering Society is open to all students and non-students. Join now to enjoy industrial visits, guest talks, socials and more! We are a non-profit organisation aiming to provide engineering solutions to development issues. We run local projects throughout the year, international placements, talks and workshops that promote sustainable development. Our aim is to provide a creative and functional environment for like-minded individuals who like to innovate. We are HypED. A team of students collaborating to develop Hyperloop technology and build the future of transportation. Comprising of students from various cultural and academic backgrounds, Edinburgh University Formula Student comes together each year to construct a F1-style race car: a truly cutting-edge piece of automotive engineering! A student-led project based at the University of Edinburgh that is focused on building a smart, highly functional and affordable 3D printed prosthesis. A peer assisted learning scheme. Our goal is to create a friendly atmosphere and support system where you can discuss any aspect of your degree or general student life. All of our new students are invited to attend Welcome Week where you will have the opportunity to find out everything you need to know about your academic life. There are also hundreds of additional events organised to help you meet others, give you the opportunity to get to know the city and find out about anything that concerns or interests you. As part of Welcome Week, all new undergraduate students are invited to attend the Engineering Information Fair and Drinks Reception. The event is held in the impressive Playfair Library in the Old College, and gives new students the chance to socialise with each other and academic and support staff members. There are stalls from Careers Service, EngPals, the ETO, Security and IT Services amongst others. The ChemEng Welcome BBQ provided a great way to start the academic year off. There is free food and drink with entertainment provided by a live band! Students and staff have a great time socialising and getting to know one another. We welcome PGT students and introduce you to Scotland by taking you on a trip to Pitlochry, a charming town located at the gateway to the Highlands. To begin the trip you will visit the Pitlochry Dam & Fish Ladder, which was built in 1947 as part of a network of dams in the Highlands to generate electricity. This will be followed by a choice of either a tour of Blair Athol Distillery or a guided visit to the National Trust Park in Killiecrankie. After the tour of the distillery, you may have some free time in the town of Pitlochry to explore the quaint shops and picturesque landscapes. Every year (around May) the Graduate School offers new PhD students the chance to get away from it all at the University’s Firbush Outdoor Centre. Situated on the banks of Loch Tay, the Centre offers a variety of outdoor activities, which, combined with the activities organised by the School, make for a fantastic 3 day retreat. This is a great opportunity to get to know your fellow students, and escape from your desk for a few days! It is also a valuable opportunity to reflect upon your PhD, share experiences, and gain skills that are useful for your research. This is a chance for all staff, researchers and postgraduate research students to get together and chat over a burger and a beer (vegetarian and non-alcoholic options are available!). After a hard day’s study, come along for a relaxed social where you can meet people from other Institutes. You will receive an email about the BBQ – just register to let the Graduate School Office know that you will be coming and turn up on the day. 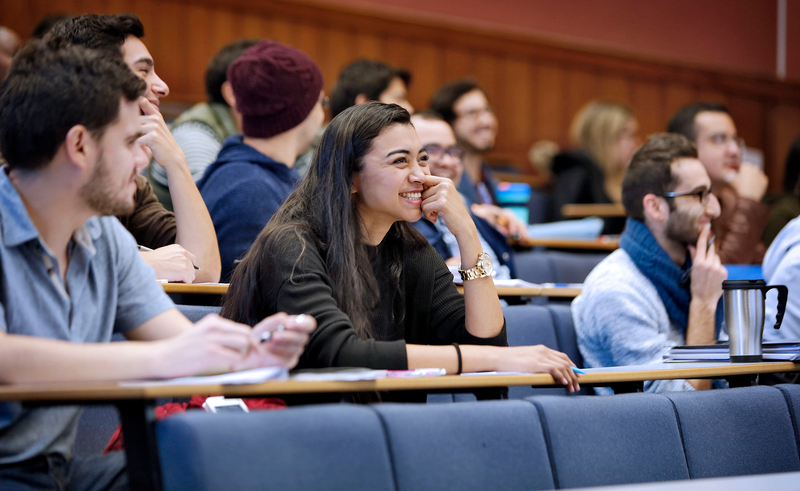 Every year, the Graduate School organises a Postgraduate Research Conference to showcase the work being done by students across the Research Institutes. This is usually held at Pollock Halls in April. The Conference is a celebration of the research within the School of Engineering, and includes Keynote presentations that encourage you to reflect upon your PhD and your future career plans. Research students from all years are expected to attend. During the Conference, 2nd year PhD students present a poster and give a short presentation about their research. Communicating your research findings is a critical skill, and the Postgraduate Conference is an informal opportunity to practice this. Prizes are given for the best poster and presentation and prior to the Conference training is provided by IAD. You should register for and attend the IAD training for the Conference to help with your poster and presentation. You can read more and view posters from previous conferences within our research pages.